Sunday 14 April marks another first for the City of London as it hosts its inaugural Boishakhi Mela – the colourful festival that marks the Bengali New Year celebrations. It’s only been a few weeks since we all saw in the new year, but did you know that in a few months you’ll be able to do it all again? Celebrated as a public holiday and as a major cultural event all over Bangladesh and in the neighbouring Indian states of West Bengal and Tripura, Bengali New Year is one massive party with music, singing, dancing, street parades and lots of tasty food the order of the day. 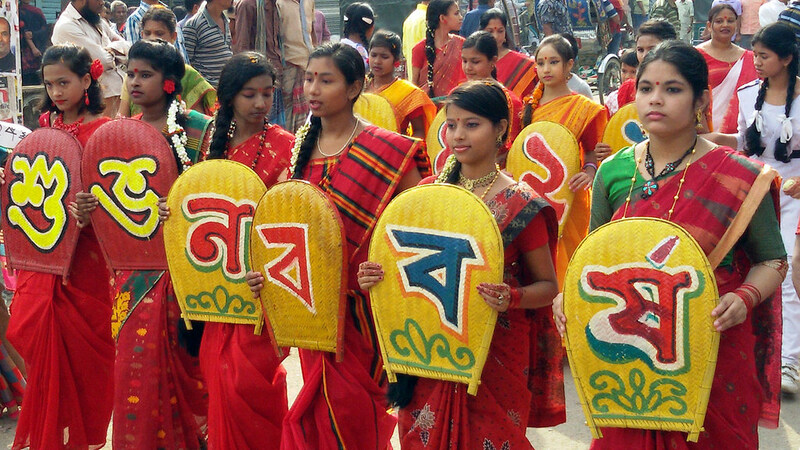 Despite the widespread use of the Western-style Gregorian calendar in Bangladesh, Bengali New Year remains an important manifestation of Bengali cultural identity. It also traditionally marks the start of the new financial year, with businesses using 14 April as the date they typically start their new ledger books for the coming year. Differing theories as to its origin have been put forward by both Muslim and Hindu scholars, but irrespective of religious affiliation, Bengali New Year signifies a time for all Bengalis everywhere to enjoy themselves and to celebrate their heritage. I recently met with Common Councilman Munsur Ali to learn more about the festival. Munsur is the driving force behind the City’s first Bengali New Year Mela (mela translates into English as ‘fair’ or ‘festival’). He is very keen to point out that his vision is for the celebration to be a community-based event, and is requesting that local people wanting to get involved contact him direct. Munsur is equally keen to stress that he intends the mela to be an inclusive celebration, and that everyone will be extremely welcome to come along and join in the fun and sample Bangladeshi culture and hospitality. I put it to Munsur that our neighbours, Tower Hamlets, must also surely be putting on their own Bengali New Year celebrations. “Yes,” he laughs. “It’s huge, and I want to say that we’re not trying to compete with them by putting on our own mela in the City of London”. He does, however, point out an important difference; the City’s Mela will be taking place on 14 April, the actual date of the Bengali New Year. Tower Hamlets aren’t hosting their celebrations until 1 July. Munsur goes on to explain his rationale for deciding to bring Bengali New Year to the City. Firstly, when considering the Square Mile’s tiny residential population, it is important to note that a fair percentage of this comprises people of Bengali heritage, mainly living on the Mansell Street Estate in Portsoken. However, Munsur explains that a more pressing motivation for wanting to host the event is to try and change the perception among Bengalis that the City of London is a place that is inaccessible to them. “We have this massive Bengali diaspora living in Tower Hamlets, right on the City’s doorstep, and yet most of these people have never had any cause to go to, or to spend any time in, the Square Mile. “They think of the City as this exclusive place where they don’t belong,” says Munsur. This is a concept he is very keen to challenge. But this is only half the story. Munsur also has an impressive knowledge and understanding of the history and geopolitics of the Indian subcontinent, and is keen to stress the complex historical links between the City of London and the Bengali people who today live on its fringes. In Leadenhall Street, exactly where the Lloyds of London building is today, once stood East India House, the headquarters of the British East India Company. This was originally established in 1600 to control and monopolise trade with the subcontinent, but subsequently evolved to become the de facto colonial government of British India for over 100 years. It was the East India Company, under Colonel Robert Clive, who defeated Siraj ud-Daulah, the last independent Nawab (viceroy) of Bengal in the fiercely fought Battle of Plassey in 1757, giving the Brits their first military victory on Indian soil. It was only after defeating the courageous Bengalis in battle that the British were able to expand their foothold in India and slowly gain control over the entire subcontinent over the next century. While all this was happening, the livery companies of the City of London were quietly operating in the background, investing vast amounts of money into the East India Company to further its colonial endeavours. “So, you see, there is a lot of shared history between the City of London and the Bengali people,” Munsur muses. More details will be provided about the mela over the coming weeks and months as the planning stage continues at the time of writing. In the meantime, Munsur would be very interested in hearing from anyone who might like to get involved with the festival in any capacity. He stresses again that you don’t need to be part of the Bengali community in order to help out. Might your business or organisation be interested in having a stall at the event? Could you volunteer or help out in other ways? If so, Munsur would love to hear from you. He can be contacted via munsur.ali@cityoflondon.gov.uk. Aldgate Community Events has very generously donated some money towards the City’s Bengali New Year Mela. However, in order to make the festival as big, bright and bold as possible there is also an online crowdfunding campaign where local businesses and individual members of the public can pledge to help make the festival truly memorable. Pledges of as little as £2 can help make this happen and can be made online at spacehive.com/boishakhi-mela-in-the-city. Main Photo by Rifat Jamil Eusufzai (Creative Commons).